Professional Catering Services and Catered Quick Meal packages for any event or any occasion! 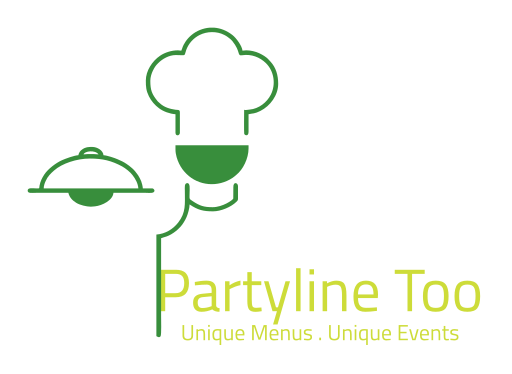 Partyline Too provides catering that pairs with the cocktail, wine and beer selections for any party. Unlike most caterers we do not have a fixed menu. Every event has a customized drink and catering menu. Our venues also offer unlimited creative possibilties. This gives our catering team the flexibility to create unique events. A fully catered Cocktail Competition for 50 Executives that involved teams competing for a “Best of Competition” award. A State Fair Event designed to introduce visitors to the Best of Minnesota foods that included traditional state fair food with an upscale twist. A Corporate Clambake for 70 guests that involved turning our venue into beach cabana theme complete with raw bar, aquarium bar, beach cocktail tastings and a make your own daiquiri bar. A Winter Celebration Holiday party for 75 guests complete with a fire fit, fondue stations, a smores bar and custom designed winter cocktails. A 125 person corporate travel party complete with appetizers from key travel destinations and a globally designed cocktail menu.